Research and studies have shown that although pre-school age children seem to move around a lot they are not sufficiently active enough for their overall health and well being. National Physical Activity Recommendations for Pre-Schoolers state that children should be physically active for three hours every day, spread out of the course of the day. Encouraging children to be active from a young age sets good habits early on, creating a healthy lifestyle that’s manageable and sustainable. Our program is aligned with the National Quality Standards and the Early Years Learning Framework to provide all children with opportunities to achieve positive learning outcomes and future success in health and physical education. Mini Fitletics is specifically designed for pre-school children aged 3-5 and focusses on the development of fundamental movement skills. These skills are the building blocks for more advanced and specialised skills that children will need as they grow to ensure healthy and active futures. Activities are designed to support active play in the areas of stability and balance, locomotor (running, hopping, skipping) and manipulative skills (catching, throwing, and kicking). 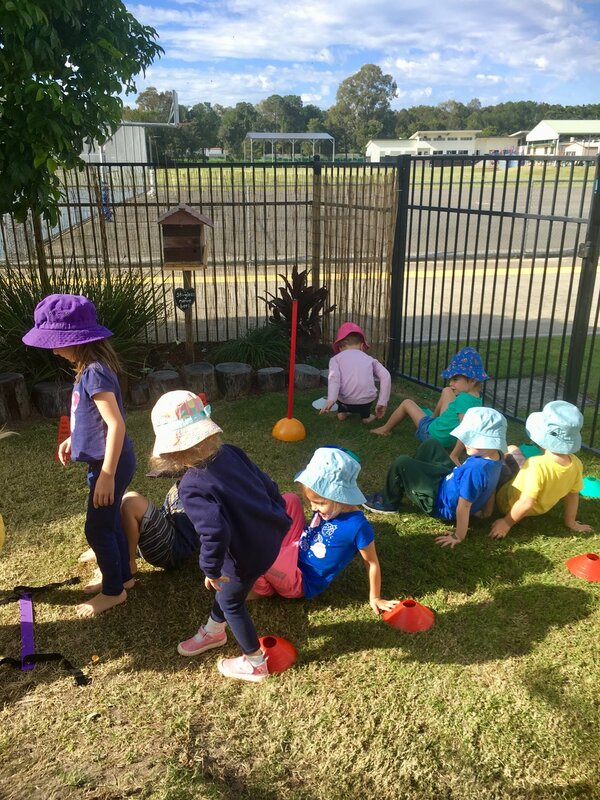 Children will enjoy learning the fundamentals skills of run, jump, and throw using modified and colourful equipment guaranteed to entice all children. Success is key to future success. Therefore, we have broken skills down into sequential steps. For example, before you can run and dribble a ball in basketball, you need to be able to bounce and catch a ball while stationary, then dribble while stationary, then walk and dribble, and then eventually you can run and dribble a ball with high rates of success. We strongly believe in the importance of teaching young children these basic movement skills and patterns before being introduced to sport specific activities. In turn, these skills will give children the confidence to participate successfully in a wide variety of sport as they grow. *Refer to Fitletica Overview for more information on program structure and development.